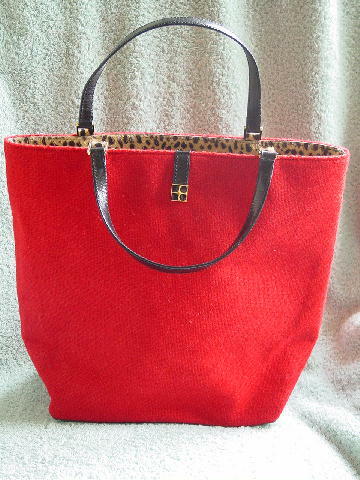 This never used red fabric "highland tweed" purse/tote is by Kate Spade New York and was made in Italy. The interior top 2" is pony hair in a cheetah print. Below the pony hair is a black (feels like) nylon lining with an interior zippered compartment. 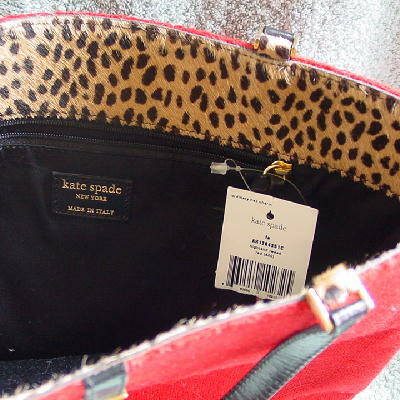 It has two 12" long black handles attached by gold-tone hooks that have Kate Spade etched on the outer side. 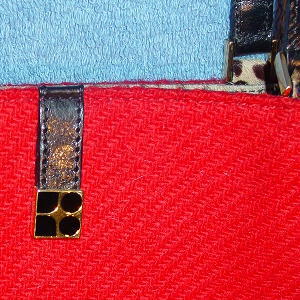 There are 4 little solid gold-tone feet on the black bottom, which have the same design that is on the front upper tab. She got it as a present.